“Be devoted to one another in brotherly love. Honor one another above yourselves” (Romans 12:10). The normal reaction many small group leaders and members make to this busyness is to lower their commitment to their small group. “Let’s meet every other week rather than weekly. That way, people will be more committed to the group.” I have never seen this work. Lowering your commitment level will not make you more committed! We have moved so far away from the authentic, devoted, self-sacrificing community of the early church! Consumerism has replaced commitment. Today, it seems, “Christians want change without challenge, strength without suffering, community without commitment.” (Bill Donahue and Russ Robinson, Building a Church of Small Groups [Grand Rapids, Michigan: Zondervan, 2001], 58. Once again, we must relearn how to live in healthy, sacrificial community, as God created us to live. A good start may be to understand one simple biblical truth: “we belong to each other,” not to our jobs, possessions, favorite TV shows, social media, kids’ activities, or, well, you fill in the blank. When your small group becomes something to squeeze into a packed, hectic schedule—when you have to “find the time” for the important people in your life—then relationships are not your top priority. Something’s out of whack. Perhaps what’s urgent has taken the place of what’s truly vital in your life. 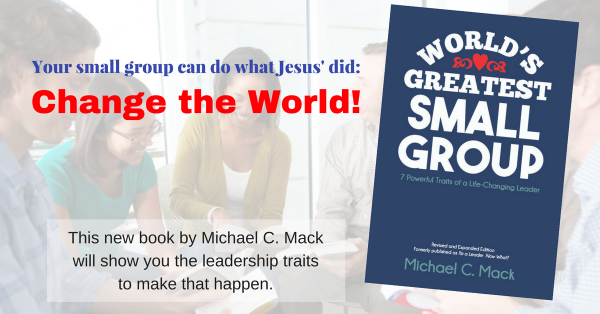 Next article Commitment and Small Groups #3: How can you help small group members become committed to the small group?